We're starting off this week with a wedding that's light, airy and filled with stunning mountain views! 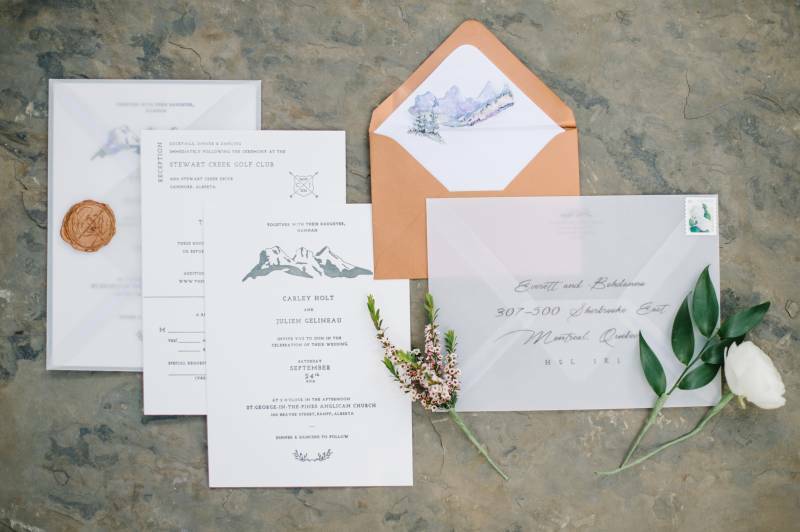 Corrina Walker Photographer captured Carly and Julien's rocky mountain wedding, and this couple paired water colour details with natural elements Their stationery had unique designs inspired by nature and their decor focussed on fresh greenery with hints of gold. One of our favourite things about this wedding? It was designed with love by the bride, Carly! Hear more from the couple and meet the entire Creative Team after the jump! For us, what made the day so special were all the details we created together. From the setting chart, signage and menus to the jam covers, programs and letter pressed invitations, we designed/pressed/made each detail ourselves-together. As an avid DIY couple, we enjoyed the process and made our connection to the day that much more special. On our wedding day we had a couple of favourite moments. The first was walking down the aisle after our 'I Dos' with our daughter, surrounded by our closest family and friends. Our other favourite moments were the quiet car rides between the ceremony, pictures, and reception that allowed for the day to sink in. 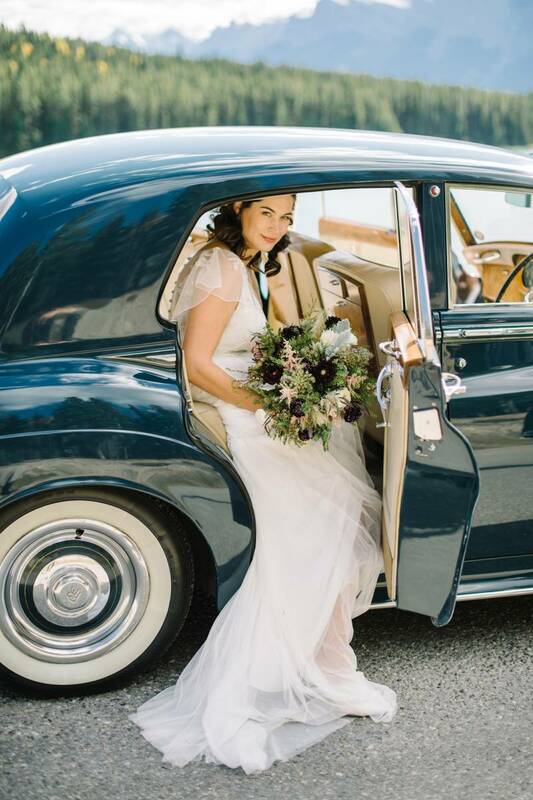 It also helped that we had a chauffeured vintage Rolls Royce for just the two of us - it was very romantic!